Teen angst is in the air. (SPOT.ph) Always filled with drama, misunderstandings, and montages set to now-iconic soundtracks, teen shows are a constant reminder of our angst-ridden years. Whether you like to sit back and reminisce or you’re just glad that high school is over, you can never truly forget the impact these shows had on you. Catch up with your favorite teen-show cliques with our list of what they’re up to these days. Did we miss anything? Tell us in the comments! If you’re wondering what it was like to be a beautiful and filthy rich teenager in the ’90s, look no further than 90210. The show ran for 10 years, allowing us to experience their lives through college and beyond. The gang somehow managed to be involved in every social issue imaginable, from teen pregnancy to animal rights. Jennie Garth - Garth played the popular Kelly Taylor all the way to the spin-off where her all-grown up character was a guidance counselor at her alma mater. She starred alongside Amanda Bynes in the 2002 sitcom, What I Like About You. She recently reunited with her 90210 co-star, Tori Spelling for the series Mystery Girls. Shannen Doherty - Doherty had some success post-90210 with the equally popular Charmed from 1998 to 2001. But she became more infamous for her behavior behind the camera, including a rumored feud with her Charmed co-star Alyssa Milano. She is slated to be in the James Franco film, Bukowski. Jason Priestly - As Brandon Walsh, he was the glue that kept the dysfunctional gang together. He’s had little luck career-wise after portraying Brandon, with brief stints in CSI, Haven, and My Name is Earl. Tori Spelling - Spelling’s first major role was playing Donna Martin. Her reality show with husband Dean McDermott is obviously cancelled, thanks to McDermott’s recent cheating scandal. Fun fact: Her dad, Aaron Spelling, produced several successful TV shows in the ’80s and ’90s, including Charlie’s Angels, 7th Heaven, and 90210. "Welcome to the O.C., b*tch!" And with that unforgettable line, the teen show permanently cemented itself into our young hearts. Think Caaaaa-lifor-niaaaa sunshine, hook-ups, and your usual dose of scandal, but with some heartwarming family moments thrown in, too. Oh, and let’s not forget The O.C.’s greatest contribution: thrusting indie rock into the mainstream. Ben McKenzie - Come on, who wasn’t even a little bit attracted to resident bad boy Ryan Atwood? McKenzie traded the poolside parties for a badge and gun in the critically acclaimed series, Southland. He is slated to play a pre-mustachioed Commissioner Gordon in Gotham this year. Mischa Barton - As troubled as her character Marissa, Barton had her fair share of hard partying and subsequent run-ins with the law. She has several upcoming film projects, including the comedy American Beach House and the romantic drama Starcrossed, both in 2014. Adam Brody - Seth Cohen was the awkward yet adorable son of Sandy and Kirsten, known for his relatable quips and pop culture references. Even if he never ended up with the real-life Summer Roberts, he’s now happily married to Leighton Meester. Rachel Bilson - After playing popular socialite Summer Roberts, Bilson went on to star in The CW’s Hart of Dixie and later joined the cast of the hilarious movie The To-Do List in 2013. She’s engaged to Hayden Christiansen, whom she met while making the movie, Jumper. Despite only lasting for one season, the magic of Freaks and Geeks endures to this day, and with good reason. No show has captured the awkward pain of high school quite like Judd Apatow and company. Linda Cardellini - As Lindsay Weir, she often had to find the balance between being a straight-A mathlete and cool enough to hang out with the troubled burnouts. Cardellini later portrayed another famous brainy character, Velma in the live action movies of Scooby-Doo. She also briefly appeared in Mad Men in 2013. John Francis Daley - Who can forget Sam Weir’s hilarious facial expressions at the dinner table, courtesy of his embarrassing parents? You can also watch an all-grown up Daley in the TV series Bones. James Franco - He’s practically a household name now but in 1990, James Franco was known as the cool and charismatic leader of the "freaks", Daniel Desario. Busy Philipps - She played Kim, Daniel’s on-and-off girlfriend with a short fuse. She currently stars as Laurie in the show Cougar Town, but you might also remember her in the film White Chicks. Seth Rogen - Rogen has come a long way since portraying sarcastic and wise-cracking Ken Miller. He’s starred and made numerous cameos in films and television, often alongside his industry friends. Jason Segel - Segel played mild-mannered Nick on the show but became famous for his role as Marshall in How I Met Your Mother. 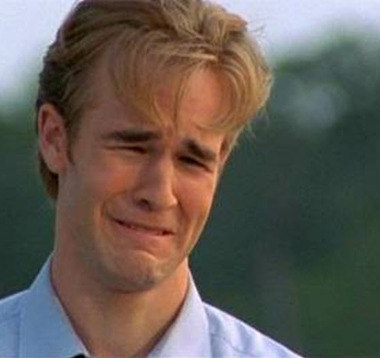 At this point, Dawson’s Creek is probably best known for Dawson’s crying face. Still, many have dubbed it a teen drama classic, as Dawson and his friends journeyed into adulthood decked out in terrible ’90s fashion. James Van Der Beek - Van Der Beek enjoyed moderate success after the show but our favorite project is the comedy show Don’t Trust the B*tch in Apartment 23, where he played himself. Would you buy Beek jeans? Katie Holmes - Holmes was all over the news, especially after her marriage (and later, divorce) to Tom Cruise. She played Rachel Dawes in Batman Begins and Jackie Kennedy in the TV miniseries, The Kennedys. Michelle Williams - After the show, Williams shot to the A-list as she starred in movies like Brokeback Mountain, Shutter Island, and My Week with Marilyn. She also dated Heath Ledger, with whom she had a daughter. Joshua Jackson - Jackson is perhaps best known for his role as Peter Bishop in the sci-fi series Fringe. He is currently dating Helen of Troy herself, Diane Kruger. Before One Tree Hill completely lost sight of itself in its characters’ adulthood, it was a pretty solid show about two half-brothers and their love for basketball. There’s plenty of the usual drama and high school shenanigans, but what really made the show was its sincerity, quotable quotes, and of course, music. Remember when Fall Out Boy performed? Chad Michael Murray - He played the show’s main character, the basketball player-turned-writer often caught between Brooke Davis and Peyton Sawyer. Murray left the show on its seventh season, after he was filmed telling fans he wasn’t returning. He recently had a small cameo as an officer in the movie Fruitvale Station. James Lafferty - Lafferty’s character, Nathan Scott went from bad boy to NBA player and dedicated family man. He’s currently in the cast of NBC’s Crisis. Bethany Joy Lenz - She went from "Bethany Joy Lenz" to "Bethany Joy Galeotti" to "Joie Lenz." Despite the confusing name changes, she stayed true to her character’s musical roots and is scheduled to release her first full-length solo album soon. Hilarie Burton - Her character may have left Tree Hill with Lucas but she didn’t leave the limelight after the show, appearing in shows like White Collar and Grey’s Anatomy. She is also married to actor Jeffrey Dean Morgan. Sophia Bush - After playing Brooke Davis, Bush went on to do several TV shows, including Chicago P.D. She is also an activist and has participated in several fundraisers. At a time when teen rebellion was all the rage, Gilmore Girls set itself apart by portraying the close and heartwarming relationship between a mother and her teenage daughter. Lauren Graham - After portraying Lorelai Gilmore, Graham went on to star in another popular TV show, Parenthood. Alexis Bledel - Bledel made her television debut as Lorelai’s daughter, Rory. She later had a small role in Frank Miller’s Sin City and played Lena Kaligaris in the Sisterhood of the Traveling Pants movies. She recently appeared in Mad Men and is engaged to Vincent Kartheiser, who plays Pete Campbell on the show. Like the Nancy Drew of our teenage years, Veronica Mars investigated mysteries in the fictional town of Neptune, California. The show was such a hit with fans that it spawned a movie fundraiser for two million dollars. They earned five million in a month, and the movie was released in March. Kristen Bell - Bell’s career post-Veronica Mars flourished with projects like Heroes and Forgetting Sarah Marshall. She was also the voice behind Gossip Girl and most recently, Anna from Frozen. Bell is currently part of the show House of Lies. Jason Dohring - Dohring, on the other hand, wasn’t as successful as his onscreen girlfriend. He was a cast member of some now-defunct TV shows, including Ringer in 2011. Percy Daggs III - Since playing Veronica’s trusty sidekick Wallace, Daggs has appeared in shows like Southland and In Plain Sight. This highly successful and iconic series broke TV boundaries by marrying real life teenage drama with fantasy. Over the course of the show’s 144-episode run, Joss Whedon created a world of supernatural beings that spawned novels, comics, video games, and the spin-off, Angel, in 1999. Sarah Michelle Gellar - Before slaying vampires, Gellar was already making a name for herself with movies like I Know What You Did Last Summer, Scream 2, and Cruel Intentions. She played Daphne in the live action movies of Scooby-Doo, where she met her husband Freddie Prinze Jr. She was recently in the TV series Ringer and The Crazy Ones, which have both been cancelled. Nicholas Brendon - As Xander Harris, he provided much-needed comic relief in the show. You can watch Brendon play an FBI analyst in the crime series, Criminal Minds. Alyson Hannigan - Hannigan portrayed Willow Rosenberg, the wallflower who evolved into an assertive and powerful witch. She’s also known for her roles in the American Pie movies and How I Met Your Mother. While we’re still reeling from that bizarre ending, there’s no denying that the show has made its mark on an entire generation. We envied their gorgeous wardrobes, debated who should end up together, and lived vicariously through the scandalous lives of Manhattan’s elite. X.O.X.O. Blake Lively - Despite having few to no projects after leaving the Upper East Side, Lively remained in the spotlight, thanks to her fashion sense and marriage to Ryan Reynolds. Her latest movie, The Age of Adaline, is scheduled for release in 2015. Leighton Meester - Meester went on the musical route post-Gossip Girl. She had several pop collaborations that charted, then went on to do folk music. She plays a lesbian character in the upcoming movie Life Partners alongside her husband, Adam Brody. She is currently part of the Broadway play, Of Mice and Men. Penn Badgley - Before Dan Humphrey was revealed to be Gossip Girl, Badgley was the love interest in the hit Easy A with Emma Stone. He is part of the movie adaptation of the Shakespeare play, Cymbeline, out this year. Ed Westwick - Best known for his role as Chuck Bass, Westwick briefly appeared in the drama J. Edgar in 2011. He has several projects lined up, including the film A Conspiracy on Jekyll Island with Glee veteran, Dianna Agron. Chace Crawford - After playing Nate Archibald, Crawford is taking on the comedy and family genre with the film Undrafted, also out this year. Rarely has a teen show been as honest and realistic as Friday Night Lights, which revolves around the lives of a high school football team in Dillon, Texas. This underrated gem was highly praised for its writing, stellar casting, and complex characters. Kyle Chandler - He was football coach Eric Taylor, whose inspirational speeches resonated with the team and viewers. He scored roles in critically acclaimed films such as Argo, Zero Dark Thirty, and The Wolf of Wall Street. Connie Britton - After Friday Night Lights, she ventured into the world of country music as the lead in the ABC series Nashville. Aimee Teegarden - Unfortunately, Teegarden didn’t have much luck after leaving Dillon. Her latest show, Star-Crossed was cancelled early this year. Taylor Kitsch - Critics were starting to call him cursed due to a string of failed big-budget movies, including John Carter and Battleship. However, Kitsch bounced back with the HBO movie, The Normal Heart, which also starred Mark Ruffalo and Jonathan Groff. Zach Gilford - After the show, Gilford moved on to several TV and movie projects. His latest, The Purge: Anarchy is a gory horror movie slated to come out this year. You might also recognize him as Taylor Swift’s love interest in her music video for "Ours". Minka Kelly - Kelly starred in several shortlived series, including the Charlie’s Angels reboot in 2011 and Almost Human in 2013. 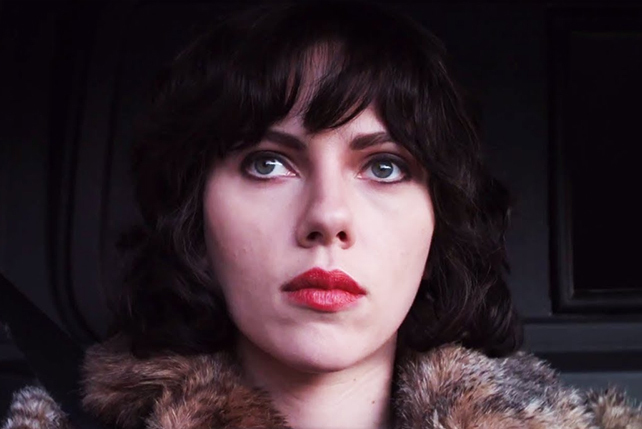 Her latest movie, The World Made Straight, comes out next year. Boy Bands and Girl Bands of the '90s: Where Are They Now? B-List Mascots: Where are they now?